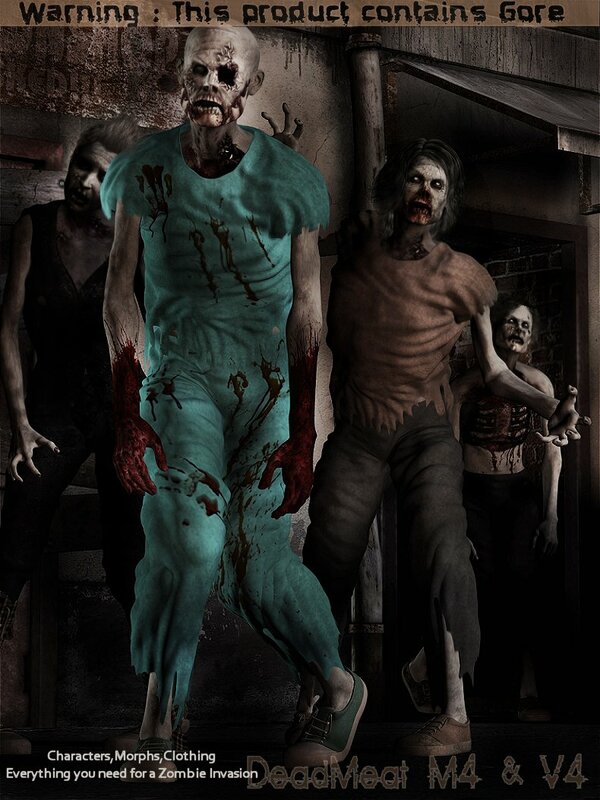 Bring your M4's and V4's back to death with multiple character Injects and Skins,to create a whole Horde of Zombies for terrorizing your Runtimes this Halloween. Each figure has its own Clothing set also,for creating Cheerleaders and goths,to Doctors and grebs,lots of texture options for these items, both have..T shirt, Converse style shoes/boots,skirt for V4 and Trousers for M4..so you need not worry what to dress them in,or just go for the naked peeled versions. All you need is your imaginations for these fun guys and ghouls to go and wreak havoc !